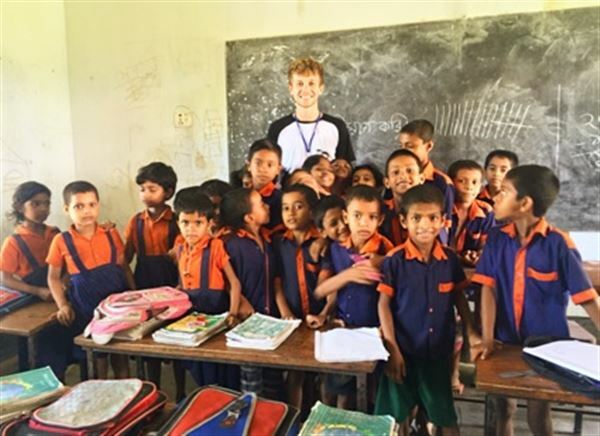 'This summer I was fortunate enough to join the International Citizens Service with a three month volunteer placement with Y-Care International in Bangladesh. This programme worked within a town called Birisiri and the areas around it. We worked within education systems, ran a set of workshops, helped organise the community to implement investments and also hosted community activities. We worked extremely hard to make sure that every thing we did was inclusive, purposeful and high quality. I believe this placement made me quickly learn my personal strengths and weaknesses and allowed me to work on my skills to continue to improve my personal development. Congratulations Alex!! We are delighted that you had an enlightening time in Bangladesh. Good luck for your future career in international development! !